It is the lack of perception. It is the prevention of the person from feeling pain by means of variable medicines for a painless and secure operation. 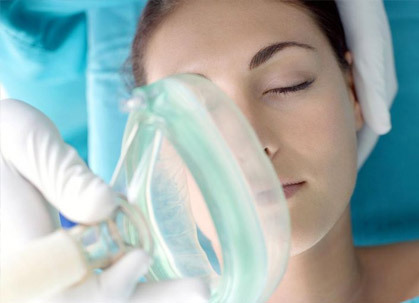 Anesthesia both hinders the feeling of pain during the operation and creates a suitable environment that the surgeon applying the operation can work. Anesthesia is done by the anesthesiologists. are divided in to 4 groups under the titles of general anesthesia, spinal anesthesia, epidural anesthesia, nerve block anesthesia, and local anesthesia. The anesthesia method, which will be used, is determined according to the general health condition of the patient, the presence of the accompanying diseases, and the place of the operation. is a method in which a person loses his/her consciousness by means of the medicines. As a beginning, the consciousness is lost with a medicine given intravenously. Spinal and epidural anesthesia are done by giving anesthetic materials to the canal that the spinal cord neurons pass in the region of the waist. The nerve block anesthesia anesthetizes the nerves in especially arm and leg surgery, and provides an painless operation of this area (like the anesthesia of the main nerve of the arm by getting into the arm pit in hand surgery). Local anesthesia is preferred in the surgical interventions done especially in small areas. Here, the area which will be operated, is anesthetized; the patient is conscious. The local anesthetic material is injected to the locality of the area on which the surgery will be applied by means of an injector; and the nerve areas are anesthetized here. This is also called infiltration anesthesia. The operation risk is determined for every patient through the interview before the anesthesia, physical examination, and tests. 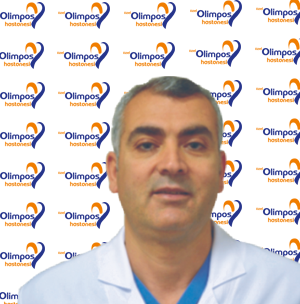 The factors raising the risk are corrected for the security of the operation and the patient. The heart rate, its rhythm, blood pressure, the quantity of oxygen in the blood are closely monitored by the anesthesiologist, and the modifications which may develop in these parameters are immediately intervened with the medicines. The anesthetic method is determined by the anesthesiologist by regarding the general condition of the patient, his/her diseases, the place of the operation, and the preference of the patient. Our Anesthesia and Reanimation department serves with the fully equipped devices in the Anesthesia and Intensive Care areas, 3 surgery rooms, the reanimation unit with 4 beds, Cardiovascular Surgical Intensive Care with 6 beds, the General Intensive Care with 4 beds, Cardiology Intensive Care with 6 beds, and Neonatal Intensive Care Units. In addition to these, it serves in ESWL (Electroshock Wave Lithotripsy Unit), Gastroscopy, Colonoscopy, Bronchoscopy, EMAR and Tomography departments. The specialists of Anesthesia and Reanimation have continuously provided 24 hour service in our hospital, and all kinds of surgical operation have been done. Moreover, the general, regional, and local anesthesia have been applied, and the painless and caesarean delivery with the applications of the epidural and spinal anesthesia. The patients of the critical incident are cured in this private unit in which the life symptoms of the physically and seriously ill patients have closely been monitored and their life functions like respiration and circulation have been supported. The patients requiring the respiratory insufficiency, intoxications, postoperative care, the patients who have a problem during the operation, traumatic patients, the patients who have systematic internal problems such as multiple organ insufficiency, coronary artery disease, serious infection, serious renal failure as well as having brain death and organ donation, are treated.